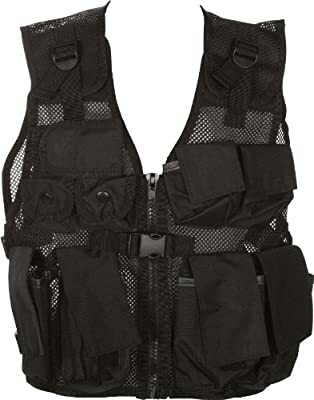 This junior tactical vest by Modern Warrior is the perfect outdoors or hunting accessory. Numerous pocket gives you great storage capacity. Adjustable torso allows for size to fit all comfortably. Has straps on side/torso area and around waist for maximum comfort in fit. Great for outdoors camping, hunting, airsoft, and much more. Strong, large, durable zippers and mesh make this item strong and sure to last many years. Manufactured by Modern Warrior.